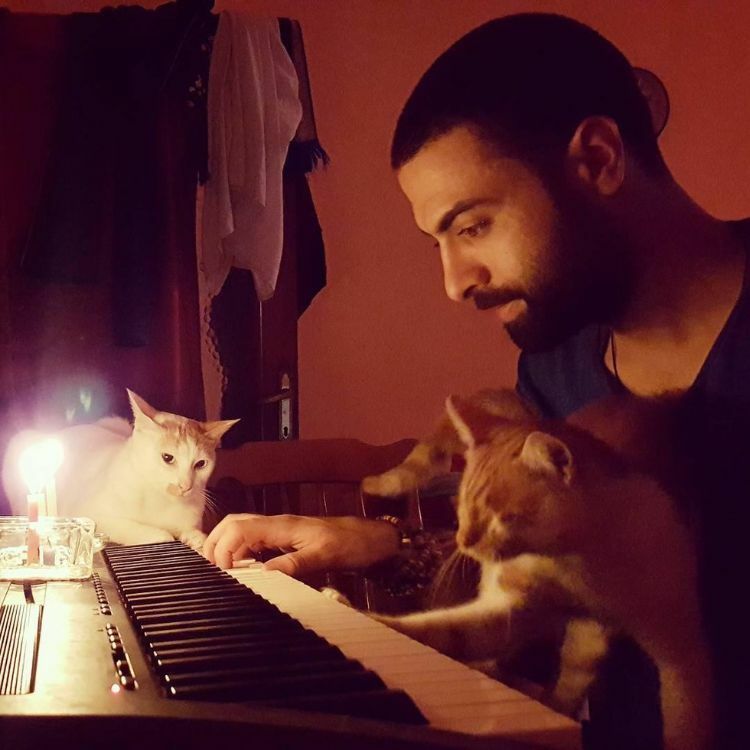 For one pianist, his most devoted fans are the nine four-legged cats he saved off the streets in Istanbul, Turkey. It's no wonder that they worship both him and the beautiful music he creates, as he rescued them when they were most in need of help. Istanbul is well-known for its exploding street cat population. Strays and alley cats are all over the city, and many are condemned to a dangerous existence. 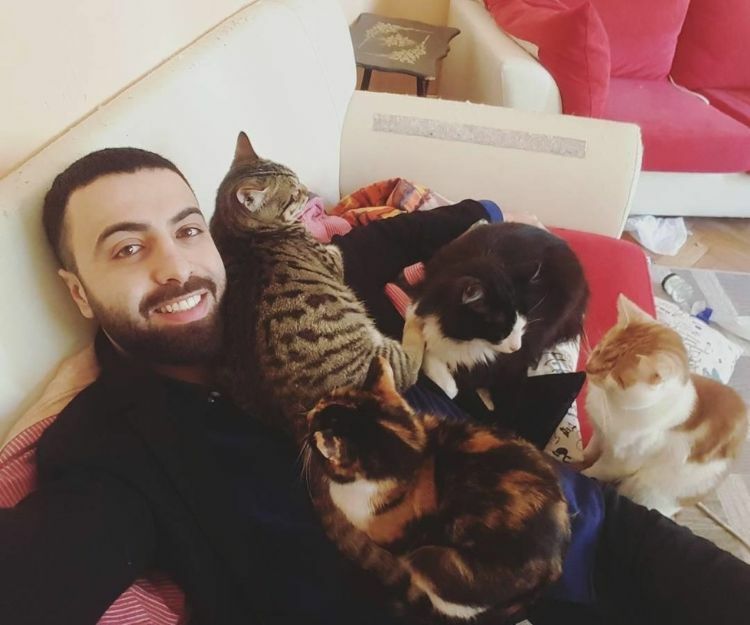 Sarper Duman, a Turkish musician, rescued nine of these street cats, all of whom were injured in various ways. He nursed them back to health, and now they have a forever home with him. "I have nine cats now. 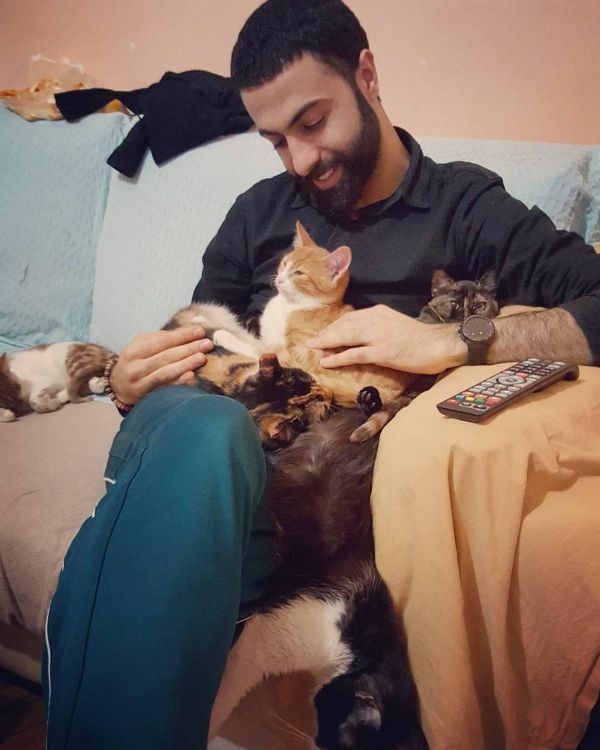 All my cats are from the streets who I found injured and I helped them for all their treatment," Duman said. 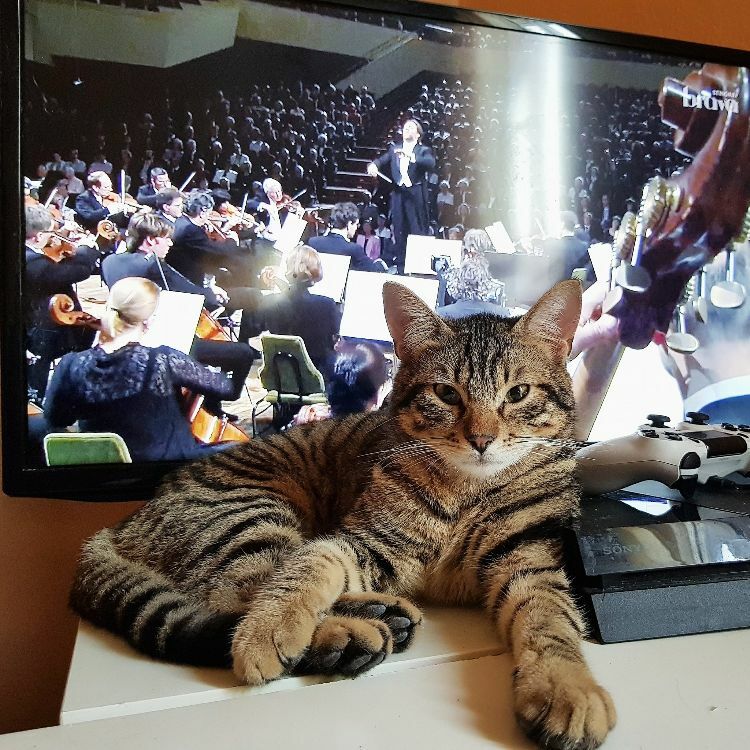 Duman's passion for music has transferred to his feline friends. 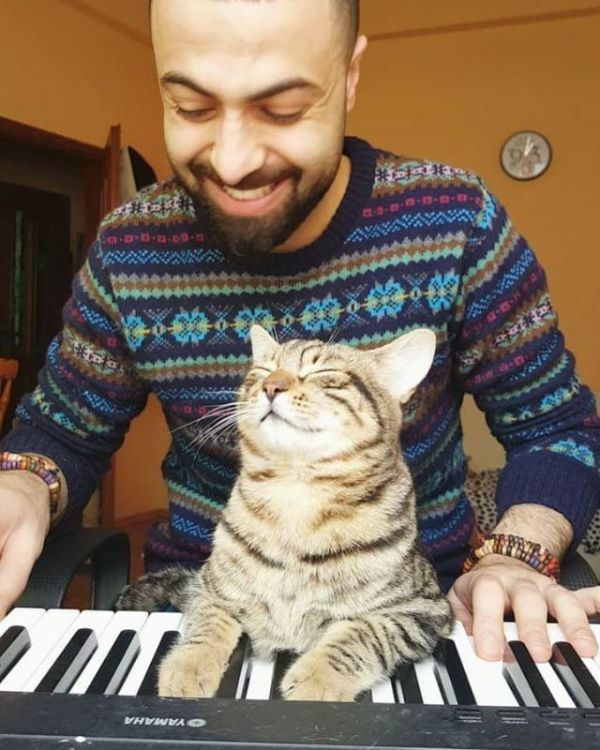 They love to listen to him play and even sit with him and help him on occasion, too. 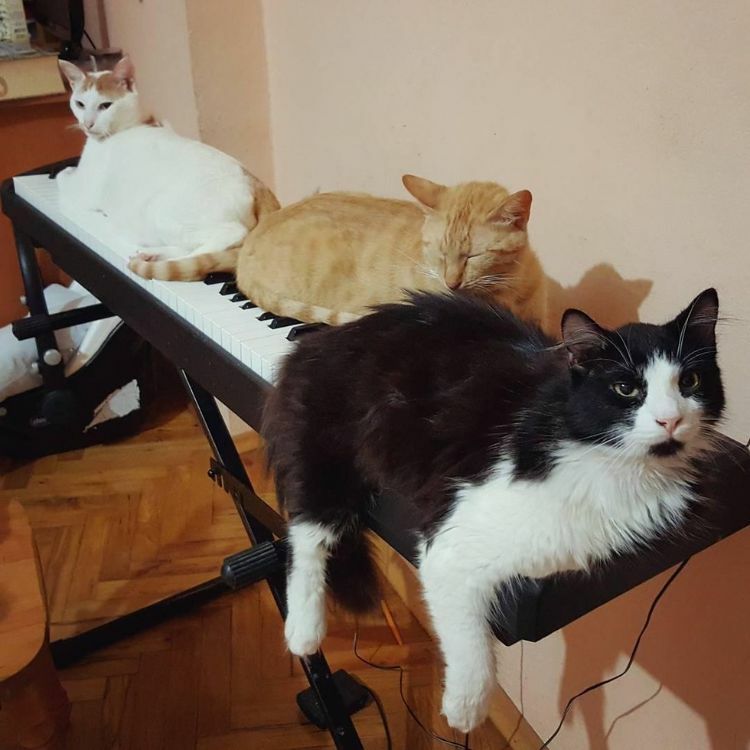 Duman said, "I always play piano at my home almost every night and whenever I sit to play, all my cats come around, they hang out with me and they love to sleep around the piano." They sleep around the piano and sometimes even on it when it isn't being played. The cats are not the only ones to benefit from this relationship, though. Duman acknowledges that they have been a great gift to his life. "They are peaceful, I am more at peace thanks to them," Duman explained. 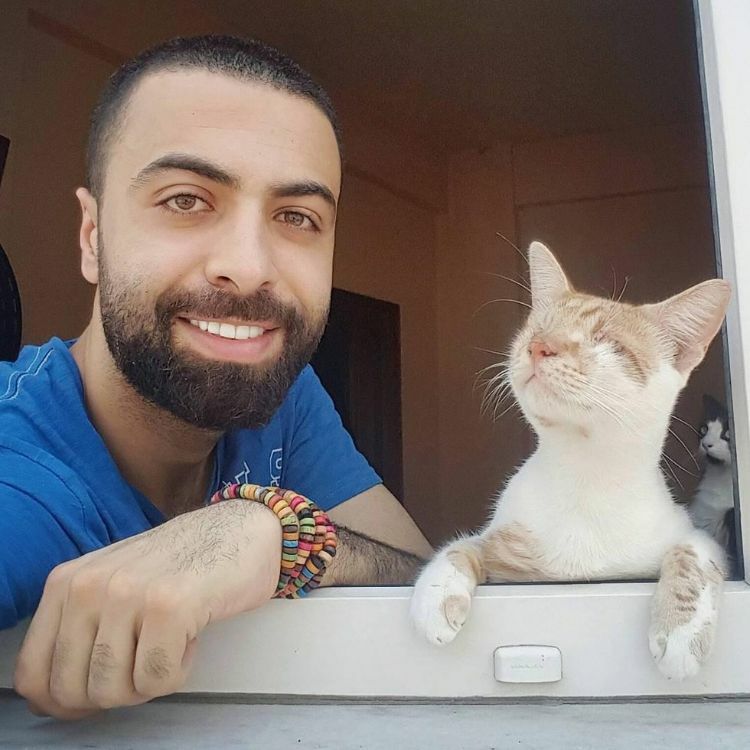 One of Duman's cats is blind, but that doesn't stop this cat from enjoying the loving life that he now leads. Veysel's "happiest moments" are by the window. "Listening to the birds, getting fresh air is our favorite activity. I hang out an hour every day at the window with my angel," said Duman. 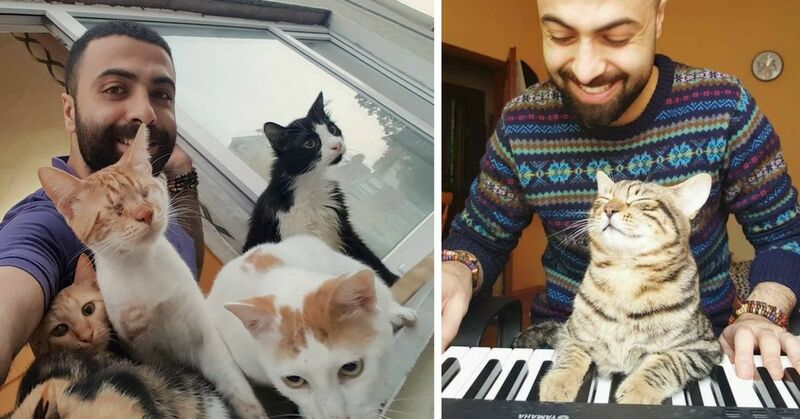 This special group of rescued cats often gather around Duman's keyboard when he plays, listening approvingly to the music. One cat, in particular, seems to enjoy playing along as well. Duman's biggest fans are the ones he loves the most. "They are my life, they are my heart, they are my peace," Duman said. 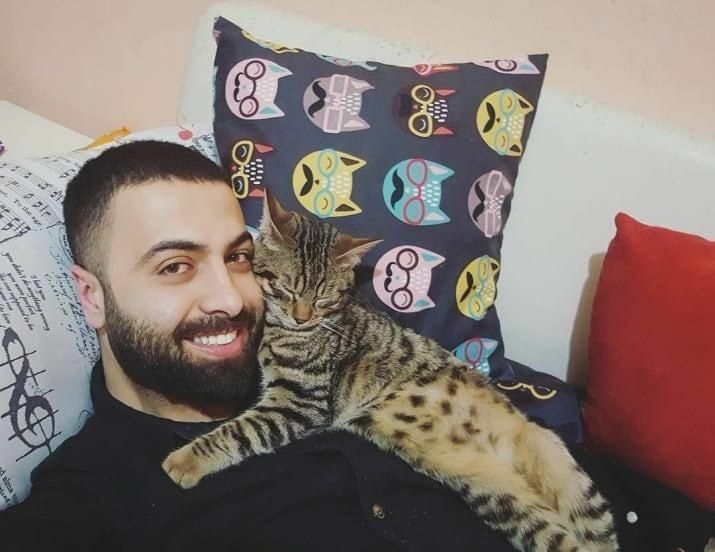 Watch the video below of Duman and one of his cats playing a song, then follow him on Instagram and share this sweet story with your family and friends on Facebook.